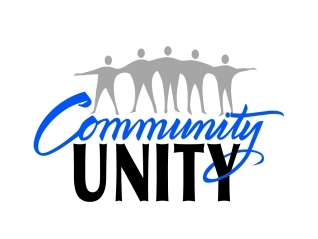 Community Unity | The Los Gatos CA Official Site! The concept of Community Unity was presented in the 2005 State of the Town address as “uniting Los Gatans under a banner of service." The idea was to gather all of the Town service minded organizations and individuals together, brainstorm our community needs, prioritize those needs, and then tackle them together.” The effort was officially kicked off in March 2005. Recently, Community Unity has become an avenue for those seeking volunteer opportunities as well as those available to volunteer. Community Unity is a grassroots effort to bring together Los Gatans focused on maintaining and improving community, building community partnerships, and fostering civic pride. The Town’s role is that of a facilitator of the forum through which volunteer partnerships are made and maintained. This website hopes to help match organizations and planned projects with available volunteers. Each November and December, we also feature a special Holiday Edition of Community Unity. This listing focuses on local non-profits seeking volunteers and donations during the holidays. Projects and volunteer groups wishing to be listed on the Holiday page should complete a project registration form, linked below, and indicate the listing is for the Holiday Edition of Community Unity. How can I include my volunteer project on the Community Unity project list? How can my volunteer group be listed on Community Unity as a group of available volunteers? How will I know when new projects are listed on Community Unity? If you would like to receive an email informing you when new projects and volunteer opportunities have been added, click on Notify Me. What type of projects can be listed on Community Unity? Any local nonprofit group that has a planned service project within our community or a project that will directly serve Los Gatans may be proposed. It is necessary that all projects have a coordinating person available for prospective volunteers to contact directly. What has Community Unity accomplished? Community Unity has provided the opportunity to promote relationships in Los Gatos that match community and agency needs.Because helping others is such a rewarding experience, so many of our community members have come together building partnerships to fill needs in our community.